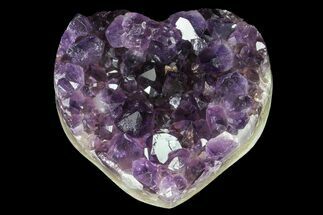 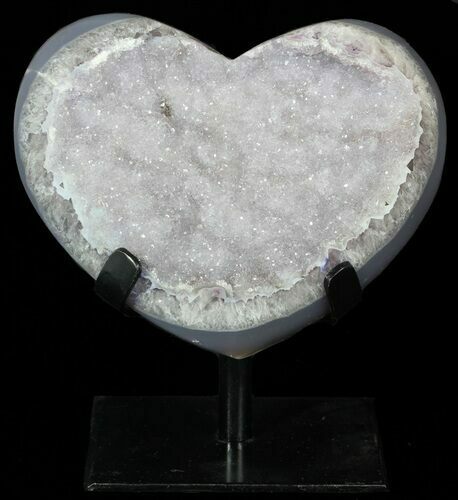 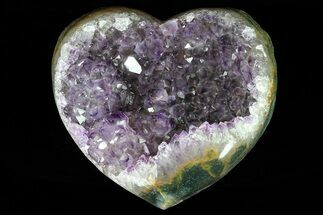 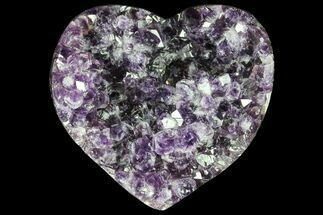 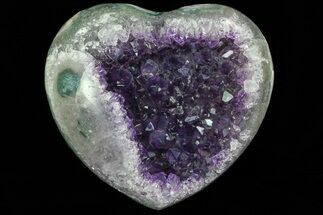 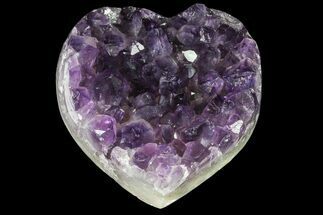 This is a gorgeous, polished druzy quartz crystal filled agate, which has been polished into a heart shape. 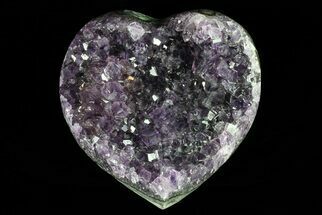 It's 5.7" wide and has a beautiful interior of sparkling quartz crystals. 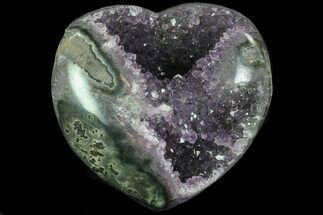 The polished "outer rim" of the specimen allows for a perfect view of the agate layers and patterns. 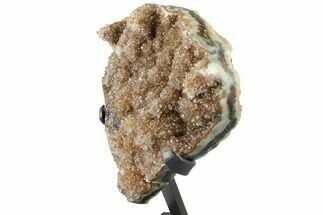 All of which display beautifully on the provided metal stand.